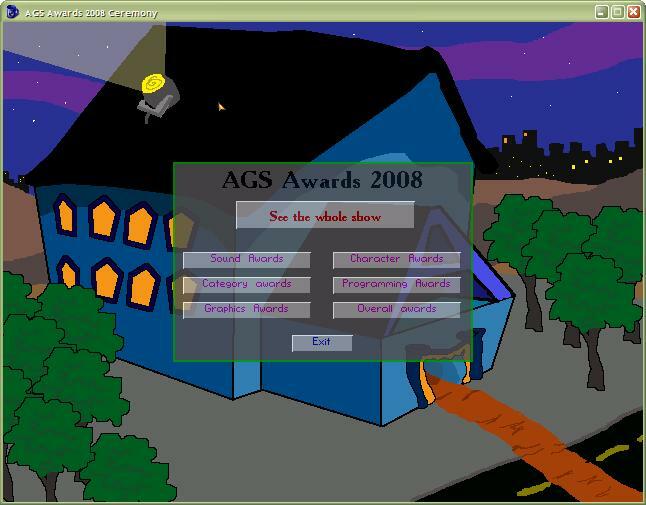 Welcome to the AGS Awards Ceremony where characters from 2008's award-winning games come and collect their golden Rogers and give a little speech, perhaps. This ceremony-game was described by PC Gamer magazine as "Dorky as all hell, but cute." Ah, I love it! AGS awards, AGS style! I think it is great that these winners receive the recognition they deserve.